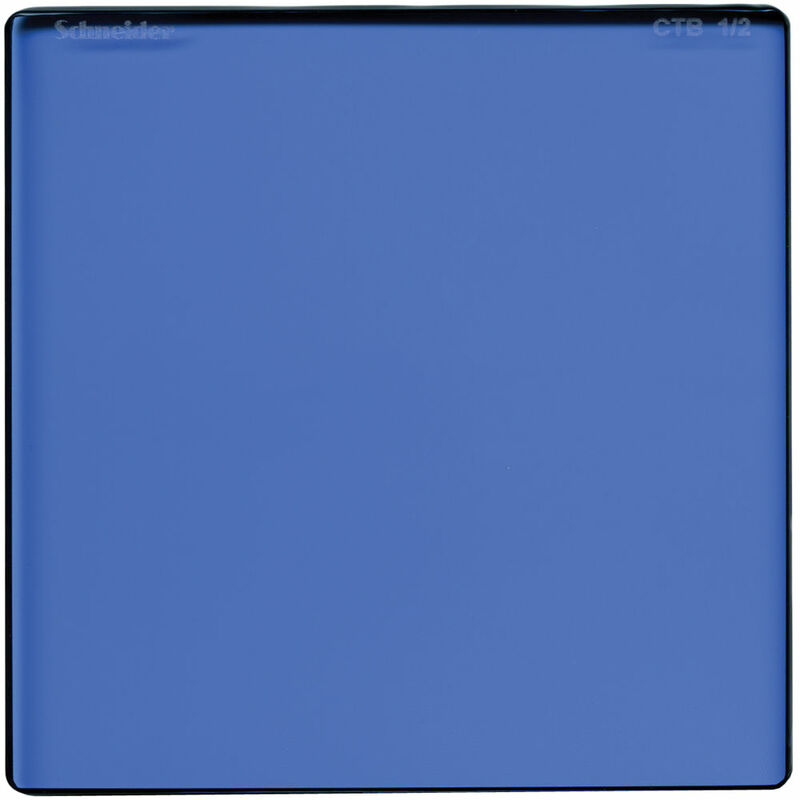 The Schneider Optics 5 x 5" Color Temperature Blue 1/2 Filter helps balance color temperature from tungsten lighting toward daylight in incremental steps. Cinematographers have the control to correct as much (or as little) of the scene or exposure. This gives the advantage of color correcting while minimizing noise at low-light levels. 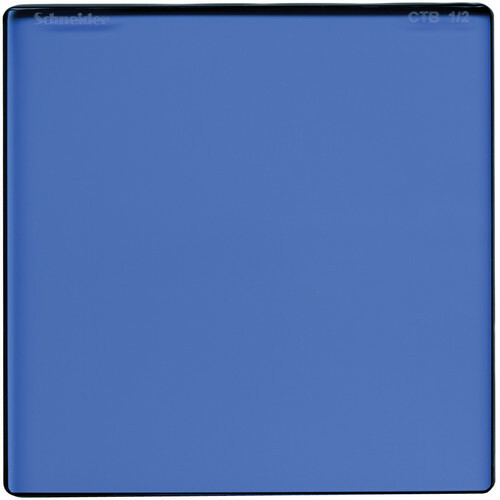 This CTB filter is designed to correspond to existing lighting color correction standards, offering a range of correction for most situations. This filter offers a stop loss of 0.34.